He lives in a world of his own and is known for having a “fourth-dimensional” personality filled with quirky thoughts and ideas. Take the recent incident when a Korean fan masquerading as a repairman entered his place on the pretext of repairing his gas pipes. Instead of seeking help from security — as per what all normal beings would do — Kim Hyun Joong decided against it and treated her like a “normal repairman”. And that’s not the end of his unconventional experience. 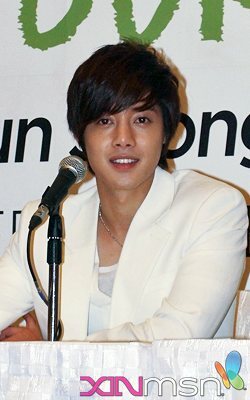 Calling that his “most outrageous fan encounter”, the band leader of SS501 (also known as leader Kim) even allowed her to cook him a bowl of porridge at his place. 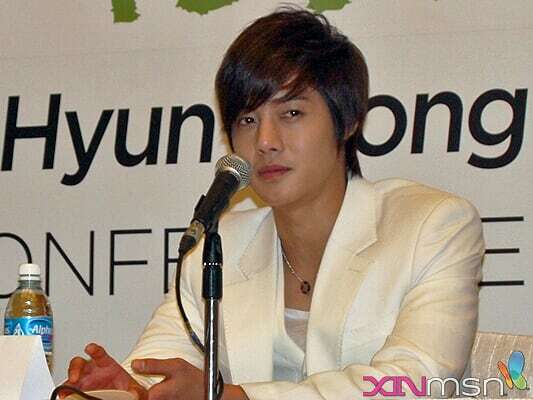 Hyun Joong recalled feeling a little “down and unwell” on the day of the incident. “And the fan, thankfully, she cooked up some porridge and placed a bowl of porridge on the table before leaving,” he said through a translator, giving a slight chuckle. In town as ambassador for Korean beauty brand, The Face Shop, the 24-year-old also flaunted his offbeat sense of humour at the press conference held in Marina Bay Sands Expo and Convention Center. He tickled many with his cheeky yet straightforward response when asked if he “goes for looks in a girlfriend”. Giving the question a second thought, he added, “I don’t particularly go for supermodel looks. I feel that on the average, usually when a lady has a very beautiful face, she may have an average figure. When her figure is outstanding, she may have an average face. “But no, I don’t have a particular liking for a very beautiful face. I usually go for the average,” the bemused one chuckled. Wearing an all-white ensemble that was most befitting of his charismatic and princely persona, the singer turned actor shared that he was taken aback by the rousing welcome at the airport when he arrived. 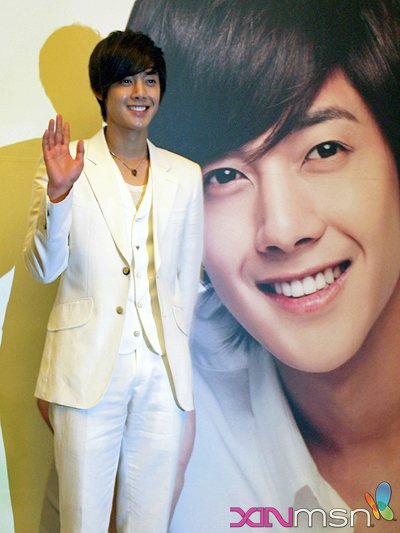 The overwhelming turnout must have left an indelible impression on Hyun Joong as he keenly expressed eagerness in returning to Singapore next year “as a singer” for album promotions and a fan-meeting following the release of his single solo album. Said to bear a striking resemblance to Korean star Bae Yong-joon, the flower boy felt “honoured” to be placed in the same league as the handsome Hallyu actor most famous for his role in Winter Sonata.